Even if Malcolm Butler never makes another big-game interception, he’ll forever be a hero to us. Just ask Dave Roberts, Mike Eruzione, Bernie Carbo, and Gerard Phelan. I’M NOT SURE MALCOLM BUTLER OR DAVE ROBERTS DRINK BEER, but I am sure of this one thing . . .
They’ll never have to buy another beer in this town. It’s what we always say. A guy makes a great catch, hits a big homer, or steals a series-saving base, and we say the same thing. He’ll never have to buy a beer in this town again. Bernie Carbo stopped drinking alcoholic beverages back in the 1990s, but he’s never going to have to a buy a beer in Boston because he hit one of the biggest homers in Red Sox history when, while pinch-hitting with two outs in the eighth, he drove a Rawley Eastwick cut fastball into the center-field bleachers to tie the sixth game of the epic 1975 World Series. Carbo’s blast set up the Carlton Fisk foul-pole shot — the Good Will Hunting moment that guaranteed that Pudge also would never again have to buy another beer in this town. Carlton Fisk, of course, will never be like Carbo because he is a Hall of Famer. Fisk was famous for a lot of other things. He was the best catcher of his time. He was a native New Englander. He stood up to Thurman Munson and Deion Sanders. He was part of the Larry Barnett and Ed Armbrister World Series controversy. John Havlicek and Adam Vinatieri go into the same category as Fisk. Havlicek famously stole the ball in the playoffs against the Philadelphia 76ers in 1965. Johnny Most’s “Havlicek stole the ball!’’ call is the most famous Boston refrain since “The British Are Coming!” Vinatieri won the infamous Tuck Rule Game/Snow Bowl in the last game ever played in the old Foxboro Stadium. He also won two Super Bowls with clutch kicks, but like Havlicek and Fisk, Vinatieri is a cinch Hall of Famer — too good for our Rushmore of Regular Guys Who Made Big Plays. Fisk, Havlicek, and Vinatieri are like the Beatles, the Stones, or U2. They had lots of big moments. Our guys are the one-hit wonders. Our guys are The Knack singing “My Sharona.’’ Our guys are Norman Greenbaum recording “Spirit in the Sky’’ and living on the royalties for the rest of his life. “Spirit” is on about a million movie soundtracks. If the Rock and Roll Hall of Fame had a home team competing against the Grand Ole Opry’s, Norman Greenbaum would never have to buy another beer in Cleveland. Other cities have guys like Carbo, Butler, and Roberts, that base-stealer extraordinaire. David Tyree was an anonymous wide receiver who caught four passes for the New York Giants during the 2007 regular season. Then, in Super Bowl XLII, he leaped near midfield, pinned an Eli Manning pass to the side of his helmet, making one of the most incredible catches in Super Bowl history. He’s the guy who enabled the Giants to defeat the undefeated Patriots. Tyree never caught another pass in the NFL, but he’ll never have to buy a Budweiser in New York. These men are all great athletes, to be sure. You have to be among the best of the best in order to play at the highest levels of your sport. But they’re not the superheroes, the Bradys and Birds, the Russells and Pedros who accomplish feats we can barely imagine. Our guys are remembered for a single moment in a big game. 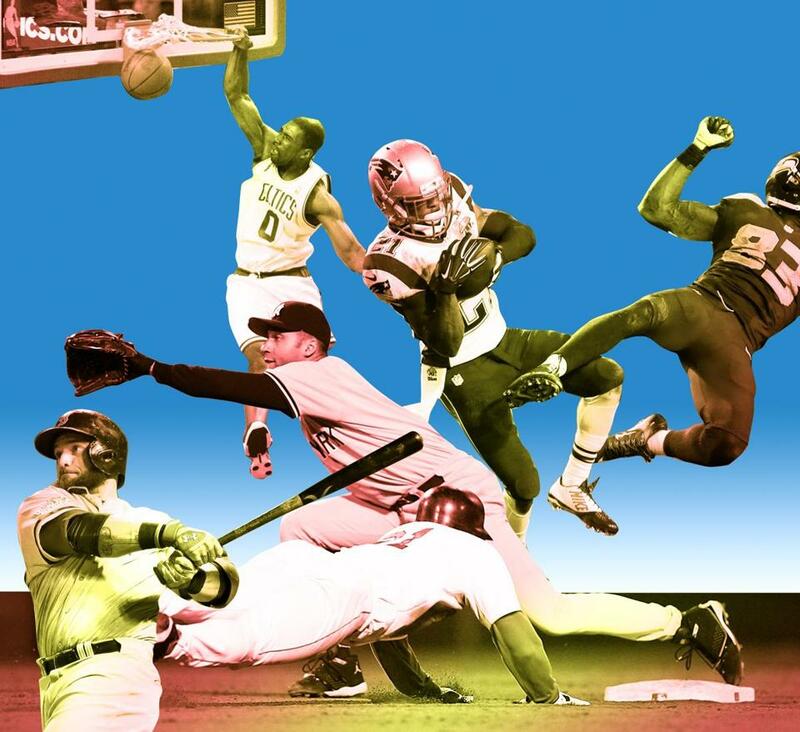 They’re the sports heroes who let us believe that maybe, with hard work and a little luck, we could one day do something worthy of the history books, too. Sometimes they go on to do other great things. Sometimes they never make another catch in the NFL. We don’t know anything about the future of Patriot defensive back Malcolm Butler. He may wind up with a bust in Canton, Ohio, as part of the professional football Hall of Fame. Or he may end up a pro football bust. We don’t know. But we do know he won’t be buying any beers on Boylston Street because he picked off Russell Wilson’s pass in the final seconds of Super Bowl XLIX in Arizona and saved the championship for the New England Patriots. Last November, I bumped into Gerard Phelan in a tailgating moment before the Harvard-Yale game. I introduced him to my daughter, who played softball at Harvard and was very much into the boola-boola spirit of “The Game.’’ Sarah Shaughnessy had no way of knowing that the well-dressed gaunt fellow at the tailgate party was on the receiving end of perhaps the most famous pass play in the history of college football. As soon as we were out of earshot, I told her all about Doug Flutie and the Hail Mary and how Gerard Phelan would certainly never have to buy a beer anyplace where Boston College grads gathered. Gerald Henderson and Leon Powe (Celtics), Dave Patten (Patriots), Nathan Horton (Bruins) and Jonny Gomes (Red Sox) are other pedestrian players who had unforgettable moments in big games for Boston. They surely don’t always drink beer, but when they do, it’s free. And then we have J.D. Drew, the antihero of our theme. J.D. was one of Theo Epstein’s high-risk, top-dollar free agents who came to Boston with a reputation as a guy who got hurt a lot and didn’t seem to care whether he won or lost. Those of us who got to be around J.D. found him unfailingly polite and humble. Still, fans hated the guy because he made tons of money and never got mad when he struck out. Fans were totally fed up with Drew by 2007, right till the big moment in the sixth game of the ALCS against the Cleveland Indians when he broke it open for Boston with a two-out grand slam in the bottom of the first. Exactly. That’s what fans hated about the guy. The Sox wound up winning the World Series for the second time in four seasons, but J.D.’s slam is not a take-away moment of that championship season. J.D. was too rich and famous. He was simply doing what he was hired to do. And he never played with the fire of a Malcolm Butler or a Dave Roberts. You know what? J.D. Drew can buy his own beer. Dan Shaughnessy is a Globe columnist. E-mail him at dshaughnessy@globe.com and follow him on Twitter @dan_shaughnessy. His stolen base against the Yankees in 2004 paved the way for the first Red Sox World Series win in 86 years. 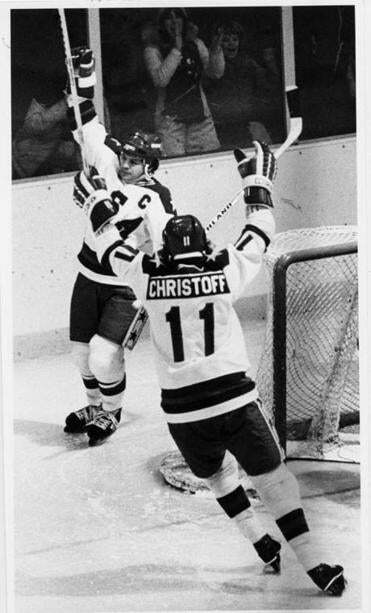 By scoring the winning goal Against the soviets in the 1980 Olympics, he created a miracle. I was just at the mall and a couple people came up to me when I was walking around shopping. It’s not every day, but when I travel, people stop me and shake my hand in airports. They always have something nice to say. It’s all good stuff. Everybody has a story to tell about where they were when we won, what they were doing, and what it meant to them. My wife and I were having something to eat in downtown Rome, and an American couple came up to me and asked if I was Mike Eruzione. I said yes. We chatted for a bit. Every now and then I’ll shake my head and go “Really?” But it was a moment that a lot of people felt a part of. I don’t want to take anything away from them, so I deal with it. I get letters all the time from young kids who say that although they weren’t born in 1980 they watched the movie Miracle, and they ask for an autographed picture. There’s another generation of fans because of the movie. 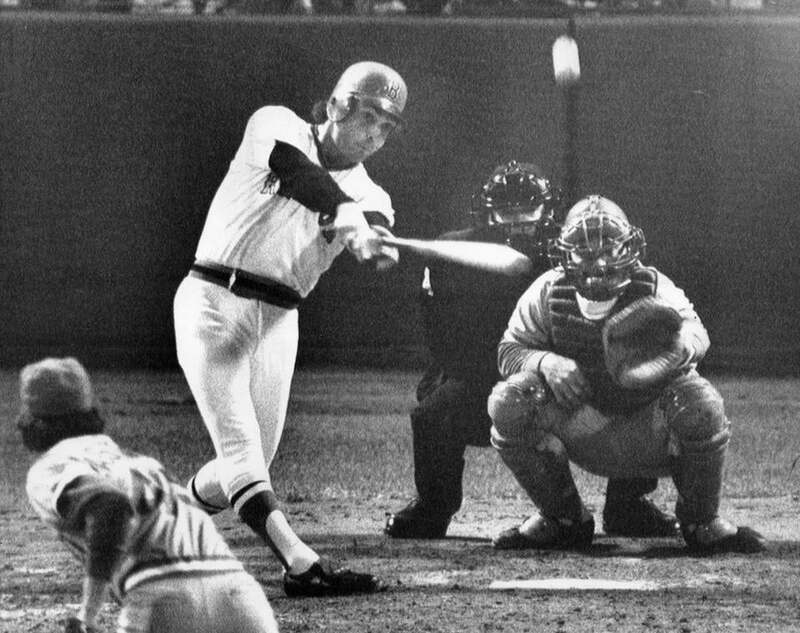 In Game 6 of the 1975 World Series, he launched the greatest pinch-hit home run in Red Sox history. Nobody [where I live] in Alabama recognizes me. It’s football, football, football with Auburn and Alabama. And I’ve changed. I’m 67 years old, and I don’t have the afro. I’ve put on a little weight. But if I mention my name, some people remember. I’ve been going through New England for 21 years with the Diamond Club Ministry. I teach baseball, do camps, speak at church, and do a men’s breakfast. When I’m working with young kids, I tell them to go ask their grandfather or grandmother about the 1975 World Series. I was in Guam working at a church and doing a lot of radio. Once people heard I was there, they would recognize me when they’d see me walking on the street. They knew I was in the area, and they’d ask if I was Bernie Carbo. I also went to Guantanamo Bay, Cuba, to speak to about 30,000 refugees. A lot of the military was there, and they recognized me. But they knew I was coming. I think that’s the secret: If they know I’m coming, they’ll recognize me. 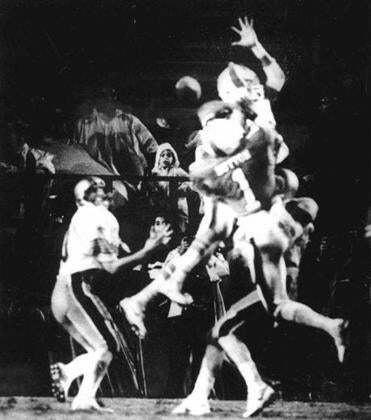 If not for the Boston College wide receiver’s incredible catch, Doug Flutie’s 1984 Hail Mary would have bombed. Just about every day I have somebody ask me about it. I just got off the phone with the Northeastern swim and dive coach because my daughter is a springboard diver who is being recruited. He said that his son was a huge Boston College fan and would be thrilled to know he talked to me. It was just one of those shocking moments that we all like, especially in sports. I’m surprised by how long the catch has stayed in people’s memory, but on the other hand, all these things like Twitter, Snapchat, and Facebook have kept it very much alive. They allow people from my generation to share a great moment that they experienced with their children. The kids are happy to go to YouTube and take a look, and now they know what their mom or dad is talking about. It doesn’t get onerous. In fact, it’s been a very nice part of my day-to-day life. To have been in that place, doing the right thing at the right time, under those remarkable circumstances, I look at it as truly a blessing.